I had fibre installed a couple of years ago via Orcon, and Chorus never removed the overhead copper cable, nor asked if we wanted to keep it. I read online that you can request via your ISP to have it removed, which I did. Over six months of prodding Orcon customer support to get confirmation of my request, they've finally come back saying. We are in the process of placing this order with Chorus, they will be able to remove the copper lines and advise of any applicable charges, it is possible this will come with no charge but we can not advise this with certainty at this point in time. Not particularly helpful is it. Has anyone else successfully had their overhead copper removed post-fibre-install? I had the same thing when my fibre was installed. I'm not hugely bothered by the copper being there, but would like it gone at some stage. I heard from someone (can't remember who) that Chorus would likely charge somewhere in the region of $135 to remove it so haven't bothered going any further. Removing mine cost nothing. It felt on the ground. Called Chorus and asked to be removed as hazard. For some time now, Chorus has been retaining the copper cable unless specifically requested to remove it. Should you wish to have it removed at a later stage your broadband provider can submit a request. Cost is going to depend on the work required and will be quoted to you through your provider. This should only be an issue if you had the Fibre installed a very long time ago or requested an Overhead to Underground (OHUG) install. These days when Fibre is installed aerially the existing copper line should be replaced with a hybrid rather than running a second cable. I'm in the same boat, had fibre installed 12 months ago but was never asked about removing the copper cable. I asked Chorus about getting it done and got into a blame game between Spark and Chorus where Chorus said Spark never asked them to take it away but Spark deny responsibility for removing it. Ideally side-cutters would fix the problem but our cable goes via a power pole with a big power transformer on it. Ive not done anything about it so far but will likely one day I guess have to pay Chorus to remove it. It puts Chorus in a difficult spot DJShadow. We are a wholesaler and rely on the provider to get these details during the ordering process. We are not trying to lay blame. However if the broadband provider put in a request to retain the copper and you now want it to be removed, we will need an order in place to do so and this will incur a cost. @chorusnz what is the reasoning behind retaining the copper network? surely once overlaid with fibre there is zero need for it in most cases unless specifically requested. surely your position should be to remove it unless its requested to keep it? As advised it is very likely there will not be a fee, sometimes there are certain complications that would cause a fee to the property owner, if this is the case we will advise you before proceeding with any work. For now we will place the request with Chorus and advise the scheduled date, they will let us know if there is a fee involved and that information will be passed on to you before the work is carried out. 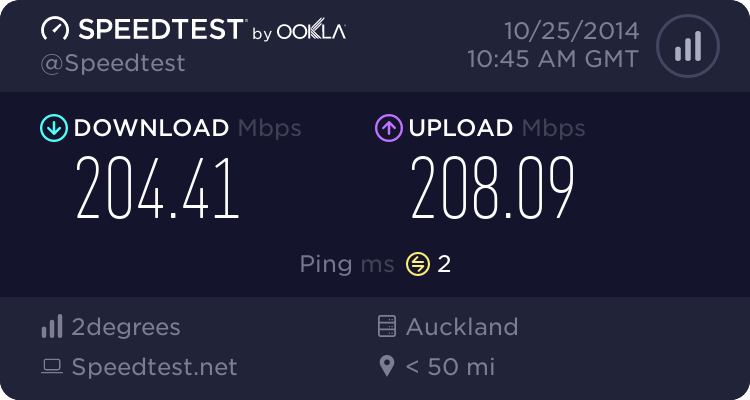 Appreciate Richard's @chorusnz's POV that there is a cost on sending out a crew to remove said wire, above and beyond them doing it on the day of original install. My observation on these installs is that teams are trying to work as quickly and efficiently as possible, and so it's probably highly likely they aren't actively looking for more work to do on site for each install - and so may not remember to ask this question each and every time. It's also not a question the ISP is going to focus on. I suspect over the last couple of years things have changed and noting the copper removal decision has become more important. All I know is that it was our original intention to get the wire removed during install, and it never happened. I also understand the notes about side-cutters etc - to be fair the terminal on the side of the house is within easy reach, as is the mounting point on the pole directly outside the house, but I'm trying to be a good citizen and not carry out a DIY cut-and-coil that results in detrimental POTS services for neighbours etc - creating a bigger mess for Chorus to have to clean up. The builders doing the earthquake repairs to our neighbour's house just cut the cable off the front of the house, shortened it, and stapled it to the power pole outside his property. When the UFB network was originally being rolled out, Telecom (at the time) was unable to offer landline telephone service over UFB. So the copper was often retained to continue to provide landline service. And in areas where Chorus is not the LFC, then the UFB installers would not be allowed to touch the Chorus owned cables. why keep allowing access to an inferior technology when fibre is in the property? When we had fibre connected (overhead) about 1.5 years ago I'm sure the contractor said they'd remove the copper line after I confirmed everything was working. The other guys were packing up and next time I looked outside they were gone ... and the copper was still there. Had been meaning to ask what the correct procedure for disconnection would be, short of it 'falling' off the house. We have three separate connections (fibre, copper and cable) from that pole. Power is via a different pole behind the house. It looks a bit ugly, especially as 2 are no longer required. When copper is disconnected at your house, is the Chorus end still terminated or tied down is some way?